This necklace is strung with sleeping beauty, heavy matrix, turquoise nuggets, pen shell heishi and sterling silver findings. 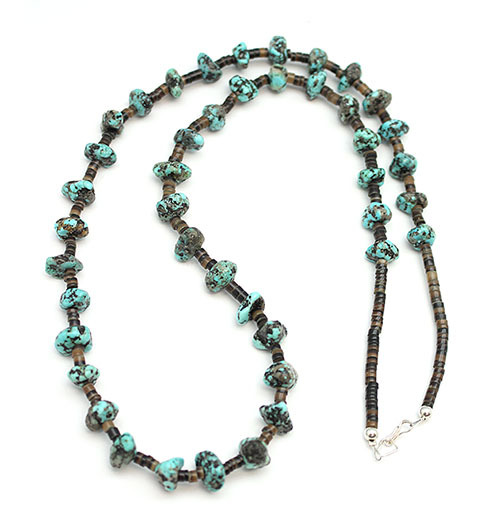 It measures approximately 22" long and is strung by Navajo artisan Sandra Francisco. Size and shape of stones will vary.